This is a New OEM Carrier Assembly for the 2015 2016 Chevrolet Corvette Stingray. 2015-2016 Chevrolet Corvette Stingray Carrier Assembly. Information : Manual Transmission, Without elec. Limited slip. 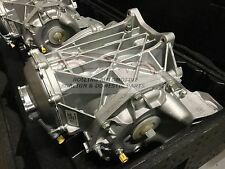 FOR SALE WE HAVE A 2015 CHEVROLET CORVETTE STINGRAY OEM REAR DIFFERENTIAL DIFF ASSY C7 Z51 #1057. THIS ITEM IS USED AND MAY SHOW SIGNS OF IMPERFECTIONS SUCH AS SURFACE SCRATCHES AND SCUFFS. -IF A ITEM HAS BEEN ALTERED OF ITS PHYSICAL AND FUNCTIONAL FORM IN ANY WAY, IT VOIDS TAE AUTHENTICITY. To see all CHEVY CORVETTE parts that we have in Inventory. This Part is from a 16 CHEVY CORVETTE. CORVETTE 15-16 Base, AT. Model: 16 CHEVY CORVETTE. Quality Tested OEM Auto Parts from Pacific Motors | The Anti-Junkyard. 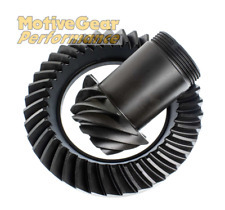 3.90:1 ratio ring & pinion for C7 Corvette 2014 . New GM parts – no imitations. Huffines Chevrolet – family owned since 1924! There’s no need to guess if the part will fit, or to call a dealer who may or may not give you the correct part number – we are the source, and we’re here to help! 2015 Chevrolet Corvette Stingray Rear Differential Assy. OEM 5500 miles. Quebec, Canada G1N 3X4. Centre Mécanau inc.
Huffines Chevrolet – family owned since 1924! There’s no need to guess if the part will fit, or to call a dealer who may or may not give you the correct part number – we are the source, and we’re here to help! 4.10:1 ratio ring & pinion for C7 Corvette 2014 . [[Stock #]] M1637-AE5H GM ALL USED PARTS WILL HAVE NORMAL WEAR AND TEAR. 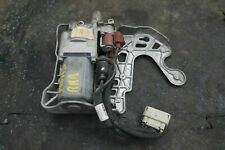 Rear Differential Lock Control Actuator 23386872 Oem Corvette Stingray C7 Z51 2015-17 . Part #: SK 25300. Pinion Depth Shims; 8.25 in. ; 8.875 in. 12 Bolt; Dana 30;. Yukon shim kits are precision machined and tailored for each individual application to ensure you have the right shims for every set up. Trending at $17.40eBay determines this price through a machine learned model of the product's sale prices within the last 90 days.